1. To make the potatoes: Preheat the oven to 375F. Line 1-2 rimmed baking sheet with parchment or a reusable silicone baking mat. Add oil to a large bowl and dried potato chunks. Stir to combine. Add salt and pepper to taste. Stirring to evenly coat. Place potatoes over 1-2 large baking sheet, taking care not to overcrowd and keep in a single layer. Bake for 35 minutes, or until golden and cooked through. Remove from oven and allow to cool. 2. Meanwhile chop your dill and place in a large container. 3. Make your dressing by combining the lemon juice, oil, water, tahini, mustard, garlic and salt in a small bowl/mug. Whisk/shake until smooth. 4. 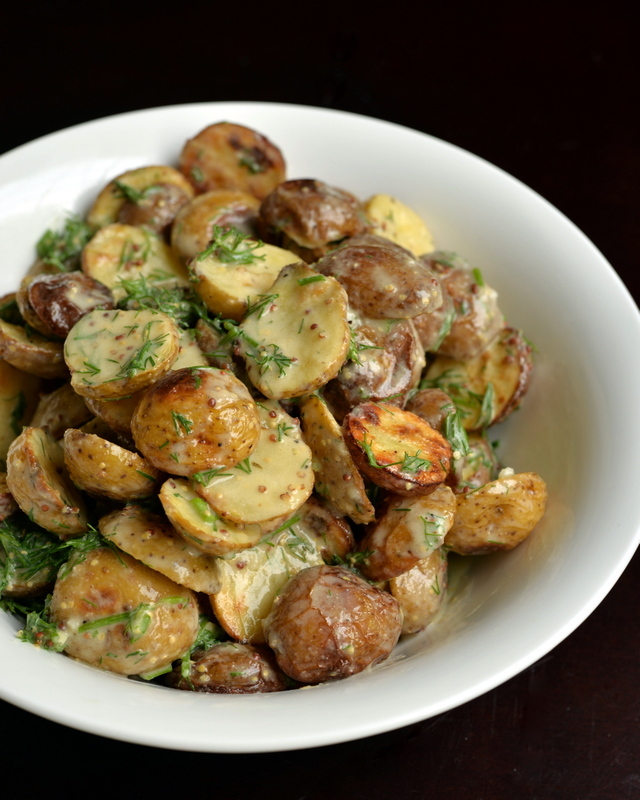 To make your salad, combine the dill with the cooked potatoes and douse with about half of the dressing. Add more later if you wish. I served this warm but leftovers were delicious cold as well. Serves 6, with dressing to spare. Oh man, this potato salad looks so good. SO good. I heart all kinds of potato salad, but I think the most frequent one I make is potato and green bean in a homemade dijon vinaigrette. Fresh oregano is great too. Hooray for potato salad! I see tahini…it must be good!! 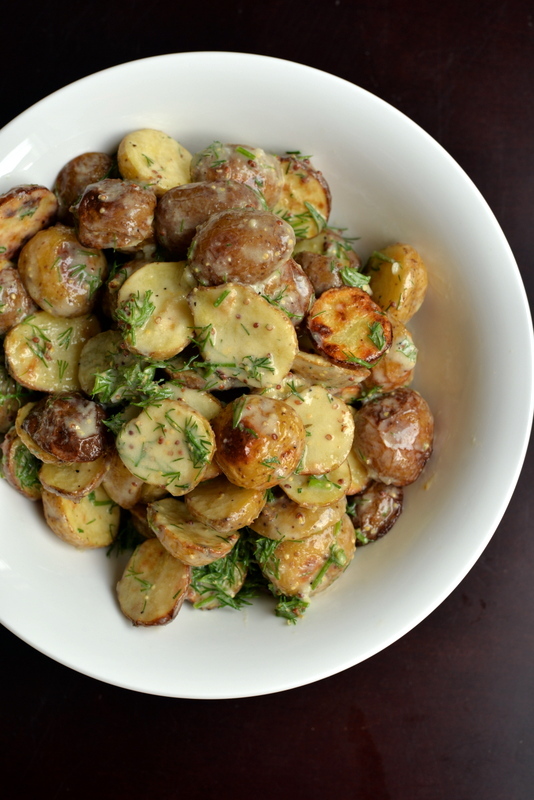 Dill, tahini, and potatoes are the greatest things! Potato salad is a salad that I love to make and eat. I have a recipe that I’ve been making for over 26 years but might try yours. Looks so good. Did you use a grainy Dijon mustard? Trying to determine what the little bits are in the pictures. Oh man. I don’t even know how to handle how tasty this recipe looks! I love dill in anything and everything (such a Greek), and I can’t wait to make it. Thanks for the recipe, Janet. Can I come live at your house please???? 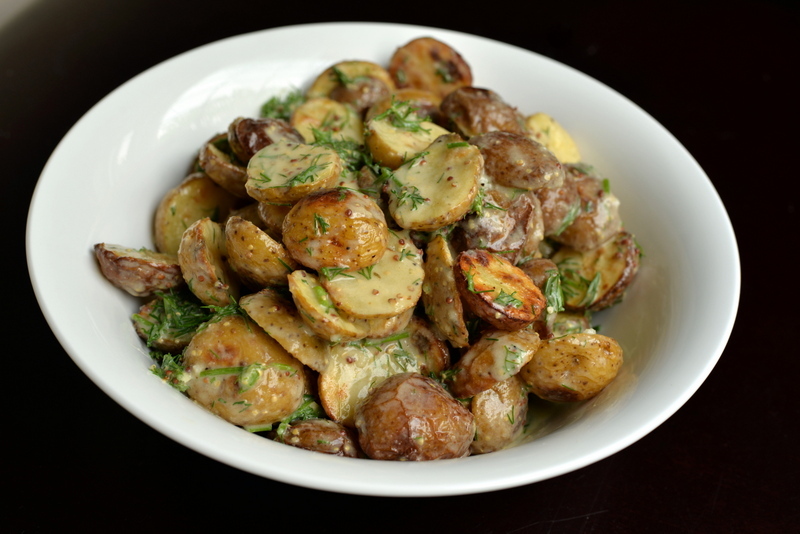 Love the sound of this revamped potato salad. I don’t mind the mayo kind with veganaise, but this sounds even better! The fresh dill really adds to it. 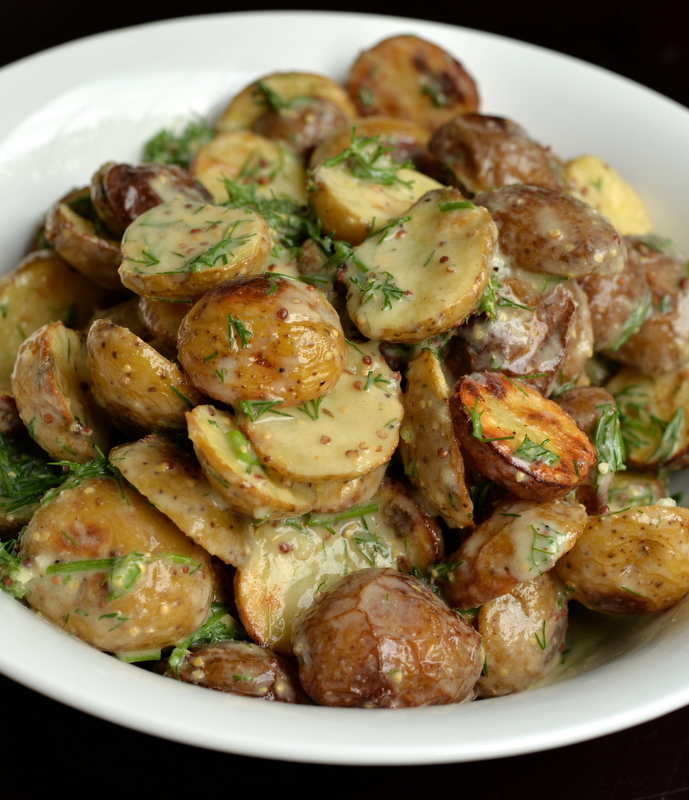 Thanks for sharing at Healthy Vegan Fridays – I’m pinning these lovely potatoes.